A fantastically simple way to make your wedding day that little bit different is by having a quintessentially British post box on show at your venue – a place for your wedding guests to pop their monetary offerings and valuable envelopes into. It cuts out the dilemma of where your guests place their wedding gifts to you – instead of having to hand it to a preoccupied bridesmaid, they can safely drop them into the post box. This is not a redesign of a post box – it is an original. The frontal information panel can be personalised with your own names, date and venue using your own designs or you can mimic the classic Royal Mail panel with your all important personal details. 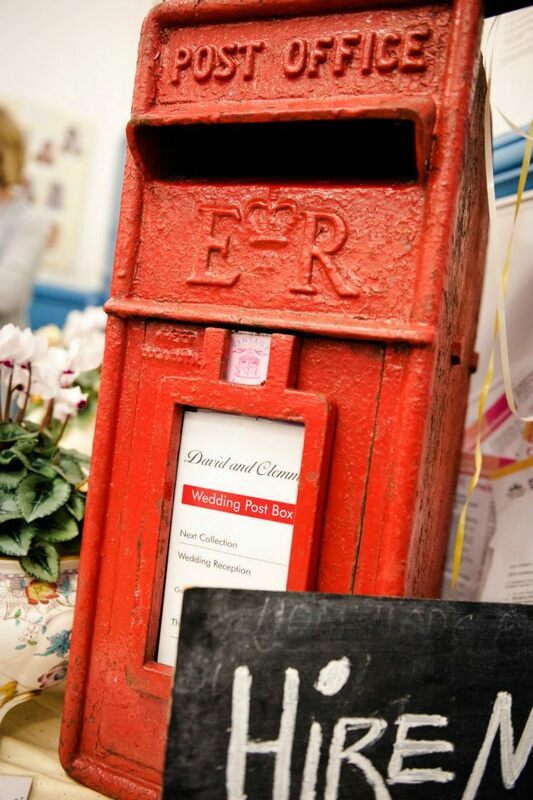 Contact us to have the wedding post box at your special event. Once you have decided to hire it, the next stage is deciding on what details and design you would like for the information panel. The cost is £100 to hire for the duration of your reception. This doesn’t include delivery/collection of the post box within the Sussex area. Included, is a laminated front panel card personalised with wedding/reception details (with one to keep as a souvenir) and a love heart helium balloon.